Mum of Five Staying Sane: Back to school has arrived. Our bathroom work is finally complete. Operation declutter is underway. Thing 1 is back at American Football training. Goodbye Christmas break, it was a good one. Back to school has arrived. Our bathroom work is finally complete. Operation declutter is underway. Thing 1 is back at American Football training. Goodbye Christmas break, it was a good one. Yes, tomorrow is back to school day, although Thing 3 has an Inset Day (must remember!). The OH is back to work after 2 weeks off, woohoo! I must admit the Christmas break has been good although it seemed to fly by after the big build up that comes with the festive period. The OH took 2 weeks off work, TWO WEEKS!! He thought it was going to be relaxing but I think he's looking forward to going back to work for a break. One good thing is that his phone stopped working. Most people would see that as a bad thing but for us it was a good thing. If it had been working fine he wouldn't have been able to resist answering any work calls or messages that may have come through. This lead to a much more peaceful and relaxed holiday break. One thing that the OH managed to do was finally finish off the downstairs bathroom. An unfinished job from our 2013 extension work. We now have two fully working bathrooms. Bathroom 2 still has some finishing touches needed as you can see by the picture. It took us 18 months to get to this point, don't rush us! Thing 5 thinks it's great and may have had too many baths already! 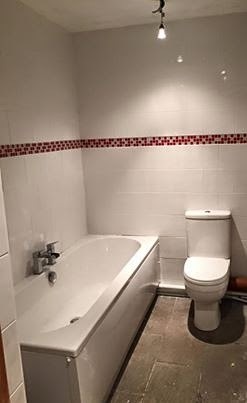 Plus when someone is in the bath there is another toilet that people can use. The joy this brings is immense! Not completely finished but fully working, no more queues!! Today I've noticed lots of people taking down their Christmas lights from the outside of their houses, including ourselves. We can't pretend Christmas is still here and that it's not back to normal tomorrow. Thing 5 was not so impressed with this as he watched our neighbour take his lights down. 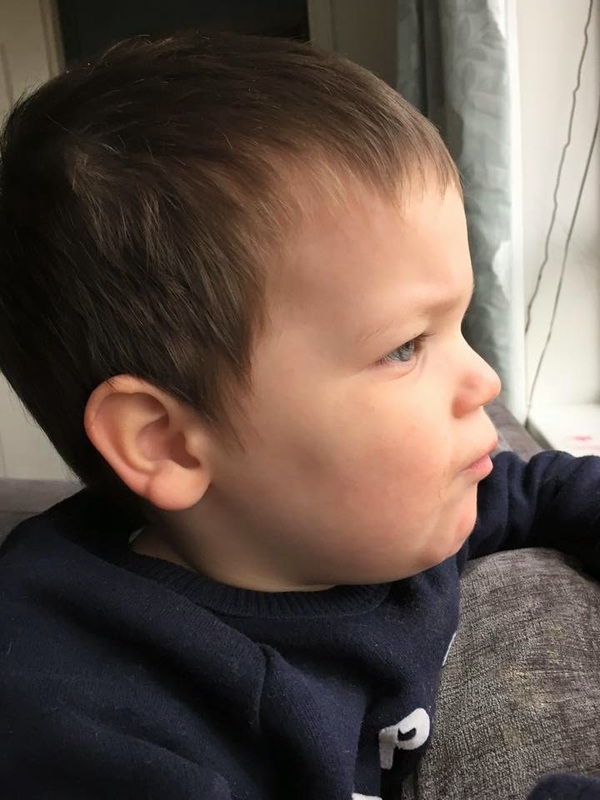 The picture shows his disappointment at said neighbour! How dare he take down those Christmas lights, the look of disappointment! Homework is done, uniforms are ready and children are bathed. I'm not sure the early night before the day back to school is going to happen so tomorrow's wake up call will be a shock to the system. It's certainly been a good one. I will be glad to get the house back to normal once everyone is back to school/work. I'm in major declutter mode and have a decent amount of stuff for a car boot sale already. 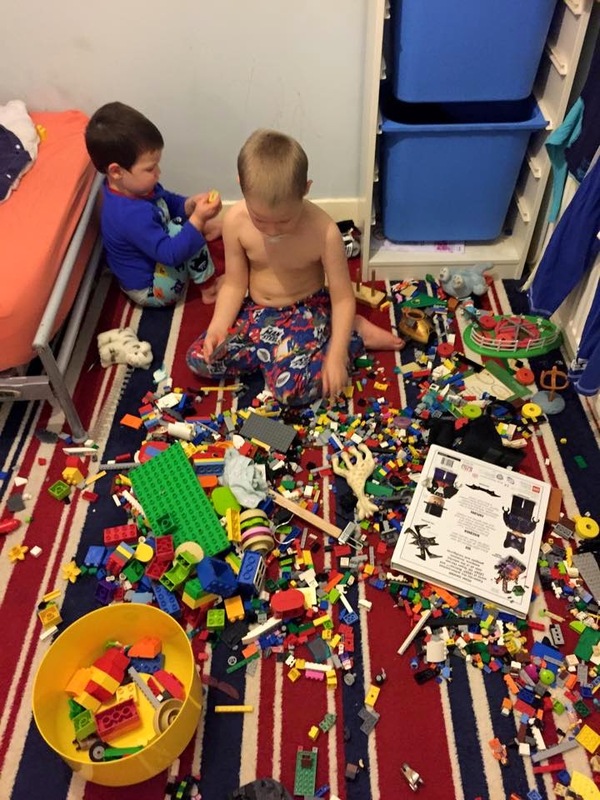 We need to downsize the 'stuff' in this house and make the house tidier and more organised, a challenge which I'm up for. One of the rooms I had decluttered, sorted out old toys and tidied. As you can see??!! 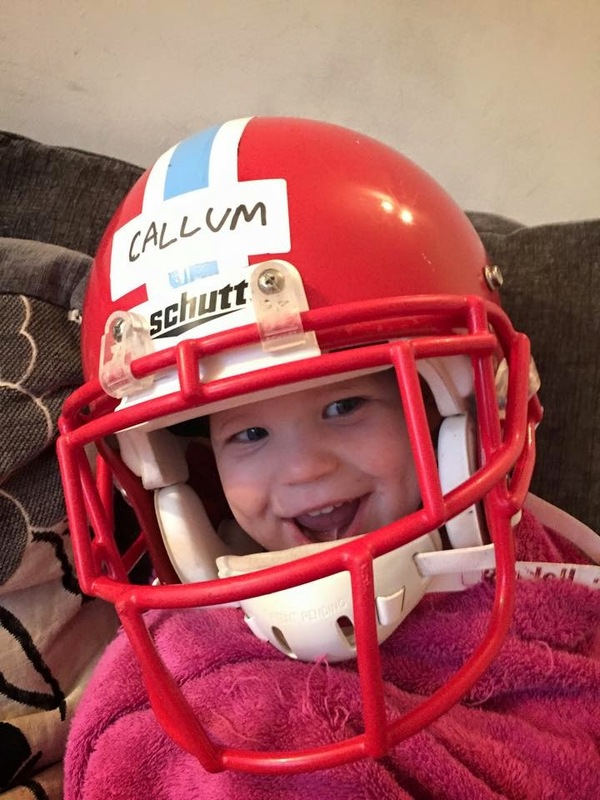 This week also saw Thing 1 start training with the Farnham Knights American Football team again. I'm pleased he is up and out of the house for a few hours on a Sunday and hope it continues so we can go and watch him in a match. For now I'm happy to see him go out every Sunday and get some training and run around outside for a while but to see him in a match would be good when the time comes. Thing 5 trying out Thing 1's football helmet for size. Goodbye Christmas break and Hello school run time again. For tonight though it's me, a cuppa and the darts final!!! 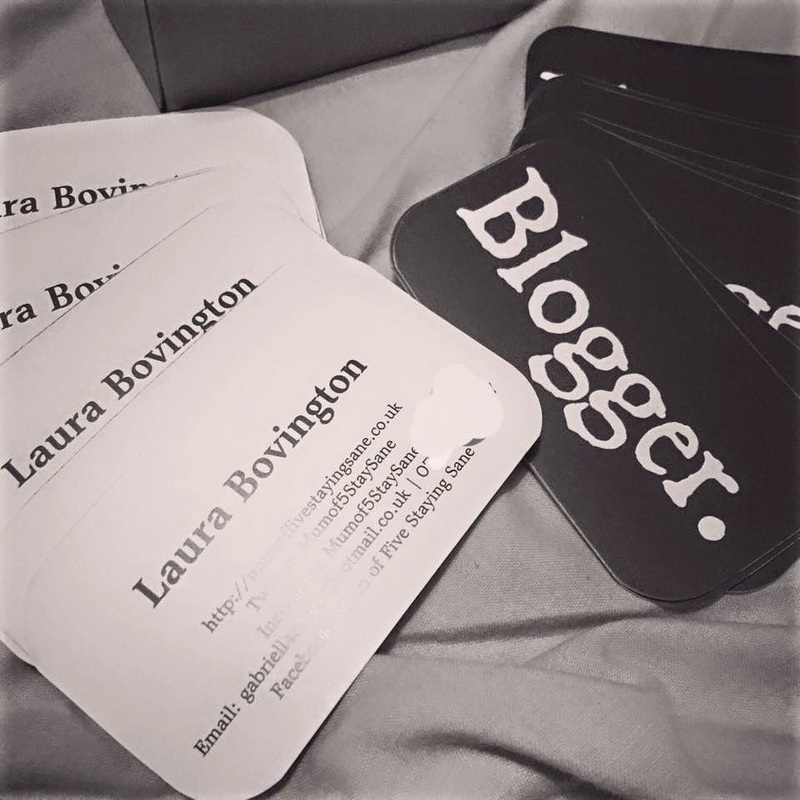 P.S; My blogger cards arrived from Zazzle, I love them. #feelinggrownup! !